Except the fact that we are under control of our life. Demanding family and work responsibilities leave you tired, messed up and stressed. But yes, there are ways to release pressure. Stress overwhelms our nervous system and floods body with chemicals that prepare you to fight. Although this response can be life-saving during emergency conditions, constant activation of stress response wears down the body. It hampers emotional equilibrium and your physical health affecting concentration and the thought process. To be healthy, productive and happy there should be a balance between relationships, work, fun and relaxation. You should be mentally and physically strong enough to hold pressure and meet everyday life challenges. This can be achieved through the active and regular practice of relaxation or stress reduction techniques. Deep breathing ensures that your brain and body is getting more oxygen and you feel relaxed. Sit with your back straight. Put one hand on your stomach and other on the chest. Breath in through the nose and deeply from the abdomen to get as much as fresh air as possible. Make sure the hand on your chest moves a little and the hand on stomach rises. Now exhale through your mouth as much as carbon dioxide as possible. The hand on your stomach moves as you contact the abdominal muscles, but hand on the chest moves little. This technique is about focusing on the difference between muscle tension and muscle relaxation. It is a two-step process. Mindful meditation makes you focus on the present. It reduces depression, anxiety and other negative emotions. Meditation is about concentrating on a single repetitive action such as repeating a few words or focusing on breathing. Sit on the floor crossed leg with your back straight. Focus on breathing. Narrow your concentration. Get aware of your thoughts, sensation and inner sounds. When your mind starts racing, you need not fight with ideas but gently divert yourself back to the focus point. Practice meditation in a quiet environment. Yoga includes series of poses in combination with deep breathing. Yoga not only minimises stress and anxiety but also improves your posture, flexibility, immunity, stamina and balance. Hath yoga, Satyananda and Power yoga are best to combat stress. Always attend a yoga class or hire a yoga teacher because if do yoga incorrectly it may cause injury yourself. In this stress reduction technique, you need to make mental images and visualise calming and peaceful journey to a situation or place. For example, imagine relaxing at a You need to incorporate as many senses as you can including sight, sound, touch and smell. If you imagine of the ocean, imagine sounds of crashing waves, the smell of salt water and sun warmth. Aim to focus on present positive things. To practice visualisation, you need to sit in a quiet room and close your eyes. Better wear loose clothes and concentrate on breathing while imagining. If you can not visit a spa, health club for massage try self-massage to ease muscle pain and tension. You can practice self-massage at home or office between tasks. Best is to try it at the end of the day on a couch or in your bed. Make a loose fist and swiftly drum up, down and side of your neck. Knead the muscles of shoulder and back. Work in small circles with your thumb around your skull base, Massage your scalp with your fingertips moving your finger front to back against your scalp and then over the sides. With your thumb and fingertips massage your face in series of tiny circles. Pay attention to forehead, temples and jaw muscles. Massage bridge of the nose with your middle finger. Work outward over eyebrows to temples. At the end cup, your hands over your face loosely and for a short while inhale and exhale. Not every relaxation technique works for all. Choose the one that fits your lifestyle, resonates with you and focuses your mind. If you tend to get angry and agitated or keyed under stress, try meditation, deep breathing, visualization or progressive muscle relaxation. These activities will quite you down. If you are depressed, spaced out or withdrawn try power yoga, massage or regular exercises like running, swimming, biking. These activities will energise and stimulate your nervous system. In case you have experienced trauma, or you become stuck or freeze under stress, you need to arouse your nervous system. Do activities that engage both your legs and arms. Try running, dancing, biking, swimming or Tai Chi. If you are looking for solitude, practice, visualisation, progressive muscle relaxation or meditation. If you want social interactions, the class settings for yoga or aerobics will keep you motivated. For the best results, combine different relaxation techniques or practice them in alteration. 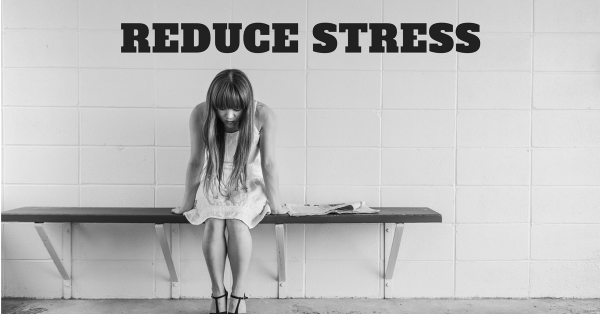 To ensure happy and healthy life practice stress reduction, techniques along with positive thinking, regular exercise, balanced diet and get enough sleep. Try to reach out to family and friend for support when needed.